I was invited to meet and have a reading with a psychic healer called Aida who comes from Iran, the lost world of Persia with its exotic overtones and vivid history; now out of bounds to most of us due to political disparities and propaganda. It was a moment of synchronicity because I was entering what turned out to be the toughest two months yet and I was seeking some guidance from another source to help guide me through the choppy waters. I have been to two psychics before. Vernon Frost in my early twenties who was extremely accurate and the psychic who Princess Diana visited often just before I left London. She gave me a clue to a letter that would have a profound impact on me and indeed this has come to pass – but that is another story. But many years have passed since then so when I arrived at Aida’s consulting space (attached to her home) in Claremont I was nervous; sensitive to the information she may discover about me and also to what she may see that I don’t or can’t. At the gates I was greeted by a beautiful German Shepherd who has a coat of coal dappled shade and whose eyes were friendly and kind. Aida came outside to greet me and embraced me saying “I am not a handshake sort of person.” She welcomed me into the consulting room where crystals bedecked the frame of the table and a statue of an Egyptian cat statue sat silently – as a cat would – on her desk. In this instance the cards really were on the table and as I sat down to face her I immediately felt at once at ease and ill at ease because I know I am about to be ‘seen’ for the first time in a long while. But before we embark on my journey we chatted about the adventure she had to undertake that brought her to Cape Town and it is here she firmly believes her home is. Aida has been practising for 14 years as a healer and clairvoyant and says her other endeavours always brought her back to this original calling. It is not without its challenges as at times she will have a run of issues that present themselves in different people – like her recent suicide months where many of her clients came to her because they had lost loved ones to suicide. “Traumatic souls” she said and I nod because I too have lost friends to suicide and what impact it had on those who were witness to their distress. “The work of the spirit challenges you the most,” she said as she looked into my eyes. She has beautiful skin and an energy of calm about her. There is no incense burning in the room but towards the end of our session I could smell a distinct air of sandalwood present. As she began her reading of me I was astonished and reassured; this woman is powerful and knows what she is talking about. Without divulging many of the personal details she hit upon I can safely say Aida approaches sensitive topics with grace and kindness as she brought the messages I needed to hear; from my late father, my recently deceased and dearly beloved aunt and the baby I had lost. I was shaken but determined to continue because as ever there is something about human curiosity that even my cat would approve of. I was particularly heartened when she asked me “Are you writing a book?” I am and encouraged now even more so to continue with it. She moved from the clairvoyant perception to the more tangible card reading dealt from the Dragon tarot. I am not familiar with this deck and was curious to see how they were laid out. I drew 13 cards and again the messages were spot on, predictive and I am reminded it is my strength and will power that will navigate this tough curve ball of change currently underway. I would not say this is a unique situation for me to be in – or for anyone else for that matter – but what is different is the insight she brought me to remind me of my strengths and to council me gently through the weak spots. As for love she saw my lob sided man and she saw us parting which I knew would happen eventually. That hurt though but how she told me about what we see in others is a mirroring of our own issues made me really take stock at what I was projecting on to him and his opinion of me. But this was the gem. In being we need to go with the flow and the people who press our buttons are just our mirrors; whomever is giving you the hardest time is actually the one you should be healing, she added that when one truly loves oneself then that is the reflection that will manifest in a relationship. The unhealed relationships that have governed my past are still there she noted and suggested I dance to release the energy to make way for something new. She told me I am a survivor, the one who would go through a tornado and still be standing. I laughed because I felt as if I needed to tie myself to a mast until the storm ended. My numerology reading was the most interesting one because she told me about the cycles of time within a life and how they reflect the elements water, fire, air and earth. I am in the fire cycle and being a water sign must watch out that I don’t add to much fire and burn out – or too little fire and go cold. My hands were cold but my ears were burning and I smiled to myself. Her grace and insight were as memorable as her beautiful daughter who walked in to the room just as our session was completing. I couldn’t help but compliment her on her exceptional features and she accepted it with grace and sweetness. Aida grew up in a traditionally religious family in Iran BUT with a difference. Her family has been blessed with the gift of being able to communicate with the spirits and use their powers to help those in need. In order to be able to expand her horizons and practice her gifts openly, Aida moved to South Africa, specifically Cape Town because of its well known powerful energy powers. Mediumship – This is the process in which Aida is used by the spirits to communicate with the living, and for relatives to receive messages from the other side. Arithmomancy Or Numerology – According to ancient sciences, everything is numbers, everything comes from numbers and will return there. 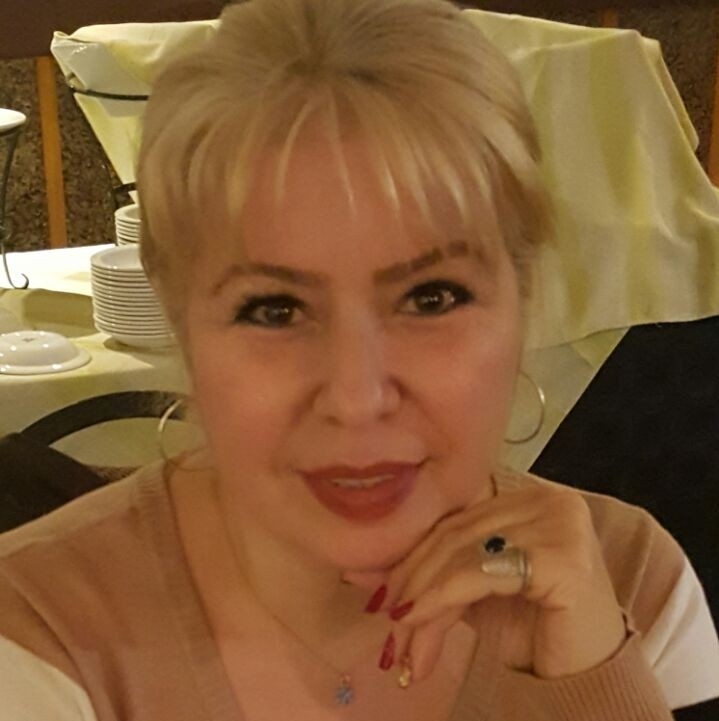 Incorporating numerology with Astrology, using the astrological signs and their related Elements, date of birth and the full name of the person, Aida obtains highly accurate readings. Tarot Reading – According to some the tarot is named after the torah, or law in Hebrew, comprising the first five books of Moses in the Bible (Genesis, Exodus, Leviticus, Numbers and Deuteronomy) which is the written code of Judaism and to which Greek translators gave the name pentakeukhos (Pentateuch) or the book in five rolls. Healing – In healing Aida channels the energy through the crown chakra to the minor chakras in the palms of her hands and pass it to the client, opening the blocked centre, or balancing the flow of energy in different chakras. Clairvoyance – Also called clear-seeing or second sight, clairvoyance is the ability to see into the future, Aida sees these images as spontaneous flashes or premonitions about the person or the loved ones relate to them. Clairaudience – The ability to hear words or sounds that are not part of the material world and to hear channelled wisdom from guides or nature essences, usually these messages transmitted within the mind. Clairsentience – Clairsentience is an ability to receive information through senses, like smell, touch (psychometry) and feel. In psychometry by touching the object, Aida is able to receive certain information about the current owner or previous owners. What are the most common reasons people seek advice for? There are various reasons although four major questions are always on the top of the list. 1- life in general 2 relationship 3 finance 4 receiving a message from the loved one who has crossed over. Aida practises out her home in Claremont and at venues around South Africa.